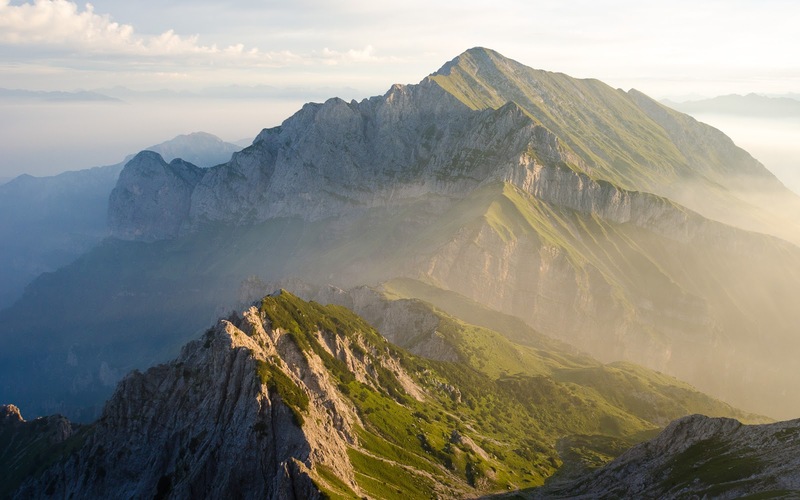 Among the famous people who have been born in Bergamo over the years is a man regarded by many as the greatest alpine mountaineer who ever lived. Walter Bonatti was born on June 22, 1930. He spent a large part of his childhood near Monza in the vast flat Po Valley, but his heart remained in the mountains. During the Second World War, he lived with relatives in the town of Vertova in Val Seriana to the north-east of Bergamo and attended school in nearby Gazzaniga. When he was 18 years old, he began to undertake climbs in the Bergamo Alps and scaled the Campaniletto in the Grigne group, above Lecco, where he demonstrated considerable ability despite being able to afford only rudimentary equipment. Within a few months he was climbing the huge towers of the Grignetta. His military service with the 6th Alpini Regiment in the Dolomites and Mont Blanc added to his experience and by his early 20s he had already scaled many significant alpine peaks and was regarded as the coming star of mountaineering. Yet he had to fight for 50 years to be recognised fully for his brilliance after an incident during the victorious Italian conquest of the 8,611 metre K2, the second highest mountain in the world, part of the Karakoram range to the north-east of the Himalayas. As the Italian group attempted to succeed where five previous expeditions had failed, group leader Ardito Desio decided that the more experienced Lino Lacedelli and Achille Compagnoni should be the climbers to make the final ascent, even though Bonatti was in better physical condition than either. Compagnoni was 39 years old. It was the job of Bonatti and the Pakistani climber Amir Mehdi to follow behind with oxygen supplies to be delivered to the final base camp, but when they reached the point agreed they found that Lacedelli and Compagnoni had placed the camp at a higher location. By then the light was fading and it was too dangerous for Bonatti and Mehdi to reach the relocated final base camp or return to the previous one. He and Mehdi were forced to spend the night in the open, without tents or sleeping bags, at temperatures of minus 50 degrees Celsius. They survived, setting a record for the highest open bivouac (8,100 metres) but Mehdi lost all his toes to frostbite and spent eight months in hospital. The following day, as they made their way back down the mountain, Lacedelli and Compagnoni collected the oxygen cylinders and reached the summit. They were acclaimed as national heroes but a furious Bonatti accused them of deliberately moving the base camp so that he would not be able to join them in climbing to the summit. They denied this, insisting the location originally agreed had been too dangerous, counter-accusing Bonatti of using some of their oxygen, which ran out close to the summit. Bonatti was blamed for Mehdi's plight and for years he was vilified by a substantial part of the Italian climbing community, who preferred to protect the reputation of Lacedelli and Compagnoni and not discredit their triumph. It was not until 2004, when Lacedelli admitted in a book about the expedition that Bonatti's account was correct, that his name was cleared. Lacedelli and Compagnoni knew that, had he been given the chance, Bonatti would have completed the ascent without the need for supplemental oxygen and his achievement would have overshadowed theirs, so they moved the base camp in an attempt to deter him. Despite the damage to his reputation, Bonatti continued to climb, mainly on his own. He found it hard to trust other climbers. Among his triumphs were a solo climb of a new route on the south-west pillar of the Aiguille du Dru in the Mont Blanc massif in August 1955, the first ascent of Gasherbrum IV in the Himalayas in 1958 and in 1965 the first solo climb in winter of the North face of the Matterhorn. Immediately after his solo climb on the Matterhorn, Bonatti announced his retirement from professional climbing at the age of 35 and after only 17 years. 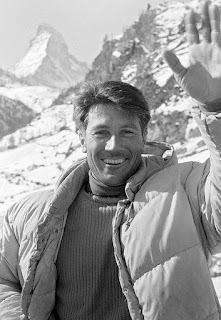 Afterwards, the pursued a career as a writer and journalist, writing books on mountaineering and reporting from around the world for the Italian magazine Epoca. In his later years, married to the actress Rossana Podestà, he lived in a house above the mountain village of Dubino, close to Lake Como. He died in 2011 in Rome, where he was being treated for pancreatic cancer. 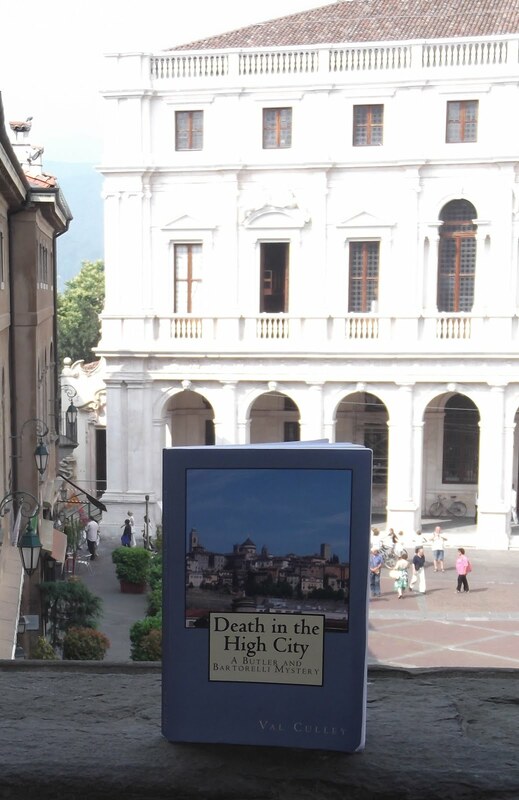 His funeral took place in Lecco.